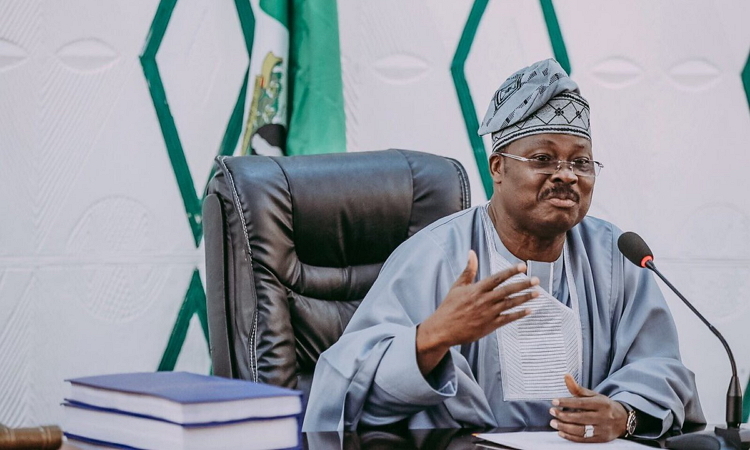 The Senatorial candidate of the Peoples Democratic Party in Oyo South Senatorial District, Muhammed Kola Balogun, has defected the sitting Governor, Abiola Ajimobi. The senatorial candidate of the ruling All Progressives Congress, Ajimobi was defeated by Balogun in the Saturday’s election. The sitting Governor had earlier represented the district between 2003 and 2007 on the platform of Alliance for Democracy. The election results were declared at the Agodi gate, headquarters of Ibadan North Local Government Area, which served as the collation centre for the district. A former dean, Faculty of Education, University of Ibadan, Professor Wole Akinsola, declared that results on Monday. Akinsola declared that Balogun, a former Commissioner for Commerce and Cooperatives in the state scored a total of 105,720 votes to defeat Ajimobi who secured 92,218. He announced that the incumbent Senator, Mr Soji Akanbi of ADC scored 49,437 while ADP candidate, Dr. Fola Akinosun got 13,149 votes.